A town in the thrall of evil. A summons that can't be ignored. 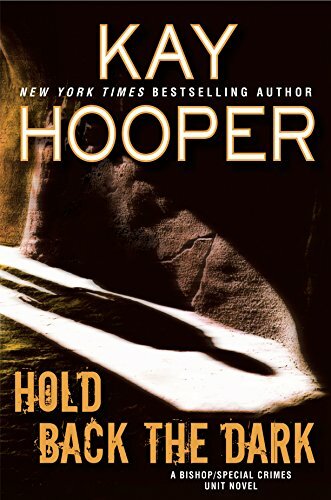 The SCU returns in a nail-biting novel from New York Times bestselling author Kay Hooper. Trapped in a nightmare they can't escape, the residents of Prosperity are killing one another, waking up with no memory of the monstrous acts they've committed--or the reasons why. Chief Deputy Katie Cole knows that whatever evil is afoot is beyond her expertise, and beyond the understanding of Sheriff Jackson Archer. They need help. A dark and evil presence is attempting to destroy the balance between good and evil, to save the world the Chosen have been summoned to Prosperity. This small town in the mountains of North Carolina has always been peaceful until strange deaths start occurring, the likes of which they have never seen. The SCU is called in to help with the investigation as well as the Chosen. It will take all of them to stop this evil from destroying everything. I am a huge fan of Kay Hooper’s and the Bishop books but I was disappointed with this one. The new characters weren’t developed and minimal background was given. The deaths that occurred were skimmed over as well as the crime scenes. The evil itself was hardly touched on and the finale of the book was quick and easy. I would have only given it 3 to 3 ½ sheep but since this author usually delivers I went ahead with a 4 sheep since it was still worth reading.